In life, when we need to go somewhere we’ve never been, it’s a good idea to bring along the right road map. That’s exactly what Wealth Management is about – a road map that may guide you and your family to a path to pursue your investment goals. To make the most of the opportunities you’ve been given, you’ve got to make smart financial choices. You need to manage your entire financial life as best you can, and act as a good steward of the wealth you possess. We utilize a repeatable, standardized process to seek successful outcomes for our clients. They center on a series of five meeting that work together to strive to help identify key personal challenges. Once these are identified, we then help implement a range of suitable recommendations. We term this a “consultative” process! We ask, we question, we help understand your true needs, and then we put our entire team behind trying to resolve your key challenges. We call the initial meeting with us the Discovery Meeting. Our goal at this important meeting is to get to know and understand your personal situation, focusing on you, your family, your life and goals. Through a series of questions we unearth what is important to you so that we can strive to make quality recommendations for your future. In addition to your financial information, the process consists of sharing your goals, values, interests, and relationships that matter to you the most. The objective is to assemble a complete human and financial profile of you and your family. We then graphically depict the information taken from these questions in a mind map format and present it to you. This information is updated periodically so we can keep you on track in pursuing your significant life goals. Once we have completed your Discovery Meeting, we can continue with our Consultative Client Management Process. Our repeatable process is arranged around a series of five meetings that work together to help identify key challenges and find practical strategies for them. What exactly is wealth management? Wealth management is designed to address our client’s full range of financial challenges on an ongoing, long-term basis and coordinate all of the disparate aspect of wealth that you must address to build a meaningful strategy. 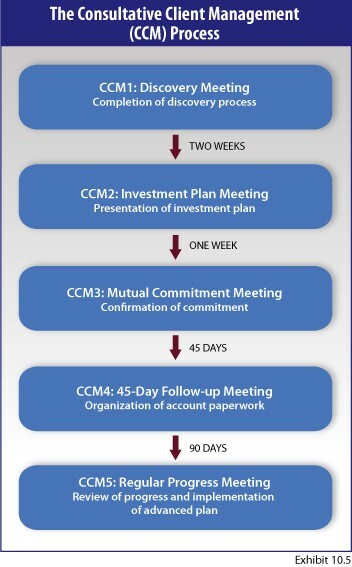 We want to accomplish this in three ways: (1) using a consultative process to gain a detailed understanding of your deepest values and goals and your most important financial wants and needs, (2) using customized recommendations designed to fit your unique needs and goals beyond simply investments and (3) implementing these customized recommendations in close consultation with other professionals. Investment Consulting: This is the process of analyzing your assets, liabilities, cash-flow, and portfolio asset allocation. Positioning your financial assets to pursue your goals and return objectives. 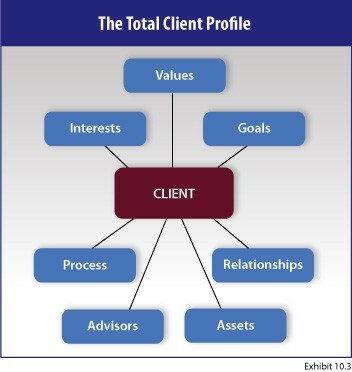 Relationship Management: Since no one can be a true specialist in the investment and advanced planning needs that today’s affluent families require our firm has works with your team of professionals. In areas as estate planning, accounting, insurance, charitable giving real estate, and more. *Wells Fargo Advisors Financial Network is not a legal or tax advisor. Professional services as those listed above are provided by your individual consultants. Please consult your tax, legal, or other advisor for your specific needs .